Ever wonder why we have been left on planet Earth? 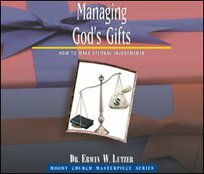 One reason is so that we can manage God's gifts. He has given us time, talents, and treasures for which we will be called into account. 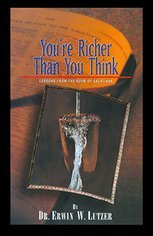 In these messages, Dr. Erwin Lutzer helps us get free from the pressure of personal ownership by affirming God's ownership of our lives and all we claim to own.